With Link Expanding, pasting a Loom video link into the supported platforms will automatically pull in the Loom embed player. This allows you to watch the video inline so you don't have to leave the context of the conversation. 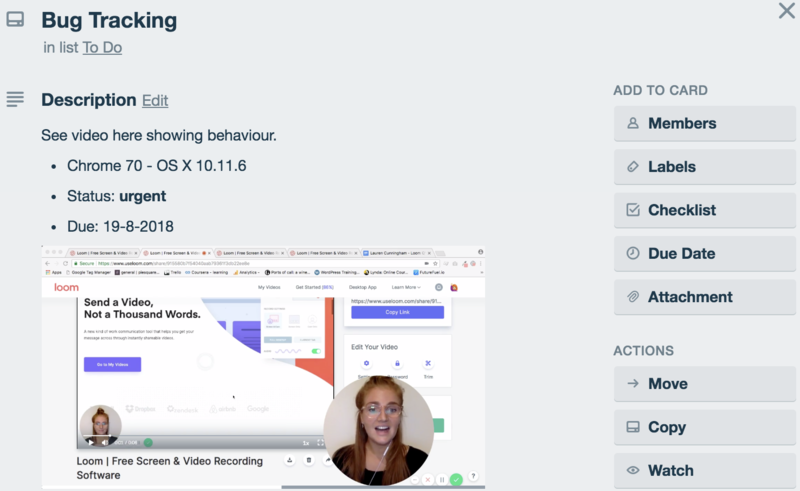 Loom facilitates knowledge sharing and decreases context switching by allowing important information to be shared right where your work is being done. Where can I manage my Link Expanding settings? Here you can manage which platforms you would like to automatically pull the Loom embed player when a Loom video link is added. Which platforms does Loom currently integrate with to play embedded/inline videos? We are working on integrating with more and more services in order to become more efficient for our users, to enable team connection and to improve their experience. If your favourite tool or service is not available, you can request a new integration through the Integration Settings menu by clicking on 'Request an Integration' (see screenshot below) and filling out the required fields. This will ensure your request is delivered directly to our Development team!